China coal industry experienced a cyclical downturn from 2012, and domestic coalminers were struggling against serious excess capacity and price drop. In the context of economic restructuring, Chinese government embarked on the supply-side reform since 2016 by means of de-capacity and 276-workday reducing production. During the 13th Five-Year-Plan period, China will continue the supply-side reform in coal and steel industries. It has raised concerns about how coking coal capacity will be impacted and what changes will happen to coking coal supply, demand, and imports in future. 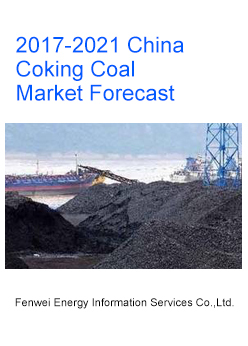 This report will respond to these deeply concerned issues based on 2012-2016 market review and 2017-2021 outlook, from the aspect of coking coal capacity, supply, demand, imports & exports, and prices by integrating with economic growth, industry policies, coking coal capacity structure, and development of downstream sectors.